The Registrar of the Mechanism for International Criminal Tribunals (“Mechanism” or “MICT”) Olufemi Elias on Thursday, 2 March 2017, concluded an official mission to East and West Africa. As part of his visit, Mr. Elias met with officials from the United Republic of Tanzania (“Tanzania”), the Republic of Rwanda (“Rwanda”), the Republic of Senegal (“Senegal”), and the Republic of Ghana (“Ghana”). Mr. Elias, who was appointed by the UN Secretary-General effective 1 January 2017, addressed a broad range of issues related to the work of the Mechanism and advanced initiatives for cooperation, enforcement of sentences, and particularly, with regard to Rwanda, enhanced collaboration within the framework of the UN Security Council resolution 2256 (2015). In Tanzania, Mr. Elias accompanied the MICT President, Judge Theodor Meron, at a meeting with members of the diplomatic corps, referred to as the “Friends of the MICT”. Mr. Elias also held separate meetings with the Tanzanian Minister for Foreign Affairs and East African Cooperation, Hon. Dr. Augustine Mahiga, and other officials from Tanzania. He further met with the heads of other national and international institutions in Arusha. In Rwanda, Mr. Elias met with the Chief Justice of Rwanda, Professor Sam Rugege, and the Minister of Justice and Attorney-General of Rwanda, Hon.Johnston Busingye, as well as a number of other senior officials. 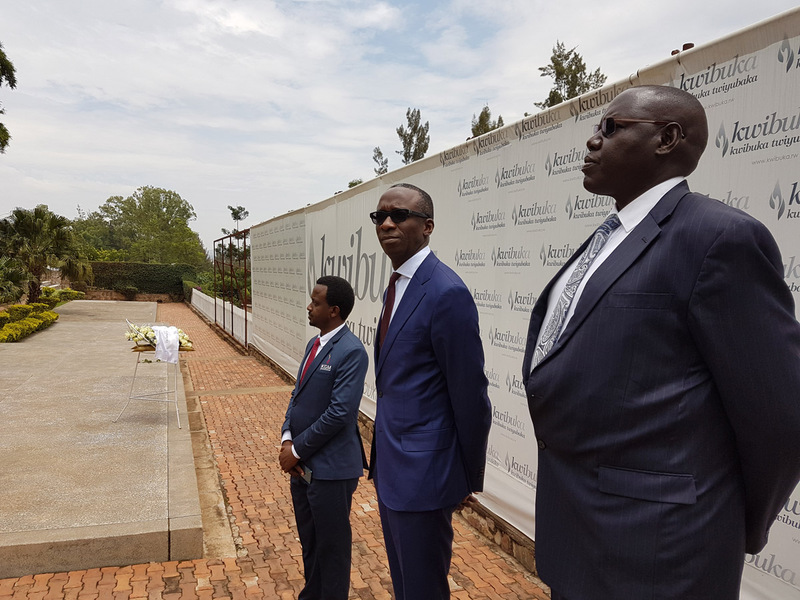 The Registrar also visited the Gisozi Genocide Memorial Centre. He concluded his trip to Rwanda with a courtesy visit to the Institute of Legal Practice and Development in Kigali. In Senegal, Mr. Elias met with the Minister of Justice, Hon. Sidiki Kaba, and other senior government officials. He also visited the recently refurbished Sebikotane prison on the outskirts of Dakar. The Registrar concluded his mission with a visit to Ghana, where he held meetings with the Minister of National Security, Hon. Albert Kan-Dapaah, the Minister of Justice and Attorney-General of Ghana, Hon. Gloria Akuffo, the Minister of the Interior, Hon. Ambrose Dery and the National Security Coordinator. Mr. Elias welcomed the willingness expressed throughout the mission to cooperate with the MICT in carrying out its mandate.